In his 2009 international best seller Crush It, Gary insisted that a vibrant personal brand was crucial to entrepreneurial success. In Crushing It! Gary explains why that’s even more true today, offering his unique perspective on what has changed and what principles remain timeless. 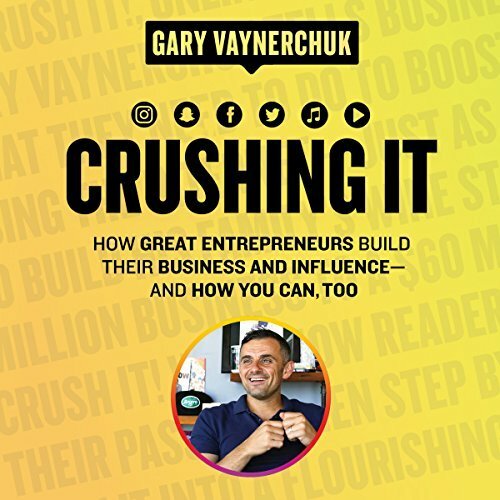 He also shares stories from other entrepreneurs who have grown wealthier – and not just financially – than they ever imagined possible by following Crush It principles. The secret to their success (and Gary’s) has everything to do with their understanding of the social media platforms and their willingness to do whatever it took to make these tools work to their utmost potential. That’s what Crushing It! teaches listeners to do.